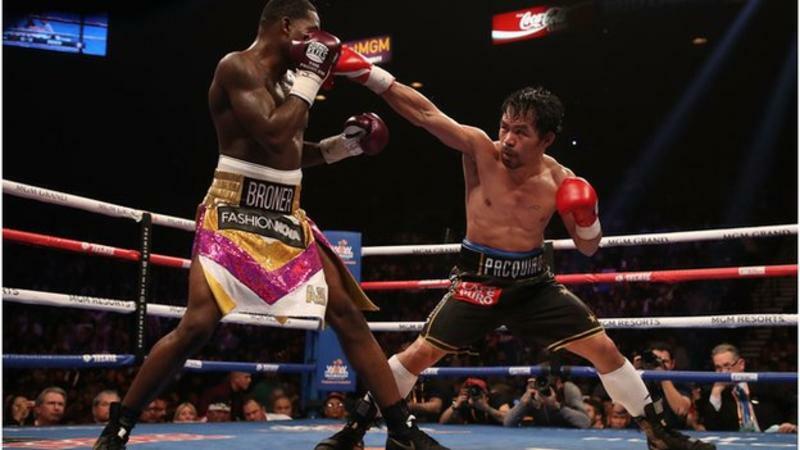 Manny Pacquiao has succeeded in retained his WBA world welterweight title after a strong win over Adrian Broner in Las Vegas. Impressively, this is the 40-year-olds 70th fight and he showed no sign of slowing down, dominating his American opponent with confidence. Broner, who is 11 years younger than Pacquiao only managed to get about half the punches in as the victor. Yet, bafflingly, he seems to think he was the clear winner and the ruling was unjust. But with a result of 117-111, 116-112, 116-112, and a ratio of 112/50 connecting punches, and 47/3 connecting body shots, all in favor of Pacquaio, the American has convinced us of only one thing: he is a sore loser who lacks the integrity to congratulate his opponent on a successful win. Just because someone may have spent their entire life in the martial arts world doesn’t necessarily mean the will have picked up all the lessons. Mainly, respect! Mayweather, who was there for the fight, has not responded. We will be keeping our fingers crossed. Both fighters are supposedly retired/retiring, but recent events say otherwise. If this match were to go ahead, who is your money on? PreviousPrevious post:Top 10 Deadliest Ninja WeaponsNextNext post:Want To Dress Up As Chuck Norris And Get A Hi-Five From ACTUAL Chuck Norris?